05. The Fantastic Mr. Fox Wes Anderson is a genius. Very few other directors have made film after film that I hold so close to my heart. There is not an Anderson film made that isn't a solid A and I expect "The Fantastic Mr. Fox" to be the same. I have been excited about "The Fantastic Mr. Fox" since the initial report Anderson would be taking on Dahl's classic tale. Excitement has only built as the cast developed and other news broke about the interesting recording techniques Anderson was using with his usual cast of actors. More recently we began to see images and then the glorious trailer (which I have watched at least 10 times since it premiered) released showing a wonderful throwback to stop-motion animation. 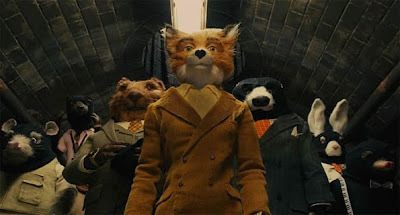 "The Fantastic Mr. Fox" looks amazing, not groundbreaking, and I couldn't be happier. I don't particularly want to be wowed with new animation, but instead made to feel all warm and cozy with stuff that reminds me of my youth. Thankfully Wes Anderson looks to have done just that and I can't wait till November when I get to share Dahl's wonderful tale with my four children under the guise of a true genius Wes Anderson. Synopsis: Angry farmers, tired of sharing their chickens with a sly fox, look to get rid of their opponent and his family. 04. 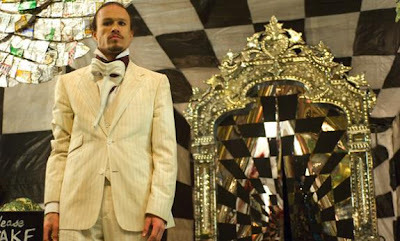 The Imaginarium of Doctor Parnassus It really is a blessing that I am able to include Terry Gilliam's "The Imaginarium of Doctor Parnassus" in my Top 25 Most Anticipated Films Left in 2009 because for a long time it looked like I would not be able to. Gilliam is another one of my all time favorite directors. He too is in the same class as Wes Anderson having directed film after film that blew me away. Terry Gilliam is a master at telling fantasy stories and 'Parnassus' looks no different in any way. Like every film within the Top 5, I have followed the project since inception and have only grown more and more excited for their releases. 'Parnassus' however has been bitter-sweet in a lot of ways. The film marks the final performance of Heath Ledger, his death however opened the door to having an amazing cast of actors including Jude Law and Johnny Depp filling-in after Ledger's untimely death. The film had a strong showing out of contest at Cannes this year, but never found a US distributor. Last week I reported that Sony was in final talks to distribute the film in the States, but I can now confirm that Gilliam's latest film will release of December 25th, 2009! I really hoped this film would land a release date in 2009 and not be pushed to another year and luckily come Christmas I will be taking the whole family to see "The Imaginarium of Doctor Parnassus". 03. The Road Cormac McCarthy novels are pretty damn amazing and his latest book to be adapted to film is no different. "The Road" is a stunning post-apocalyptic account that I read cover to cover in one sitting. I could not pull myself away from the book until every word was read. Lets just say I have very high expectations for this movie. One factor that has kept my expectations high is John Hillcoat. If you have not seen this Aussie director's 2005 western The Proposition, you are missing one hell of an event. Hillcoat has the perfect eye for McCarthy's novel and from what limited stuff we have seen (outside of the trailer) Cormac's novel shines through without a shadow of a doubt. Another aspect to this film that has me beyond excited is an original score by Nick Cave and Warren Ellis. Nick Cave is a legendary musician and his recent work on film score has been mesmerising (again, watch The Proposition). "The Road" has been sitting since last year when it was originally going to release and now one year later, it goes without saying, I will not miss this film and neither should you. 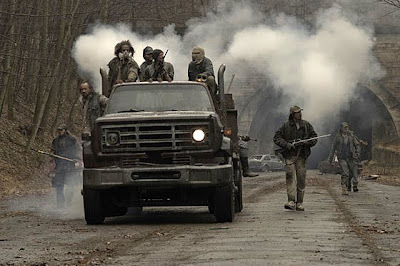 Synopsis: A post-apocalyptic tale of a man and his son trying to survive by any means possible. 02. 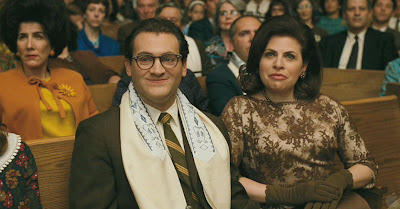 A Serious Man Ah the Coen brothers, they are just the best thing since sliced bread! They are hands down my favorite directors. I love them and like every other director on this list I watch their films endlessly. The Coen brothers have made amazing comedic films and polar opposites with thrilling dramas. They are a rare blend of talent that deserve every bit of credit they have ever received. Their latest film "A Serious Man" looks like a heading smashing good time. The Coen's seem to once again to have their rare blend of humor working on all points. The released trailer only reassures me that the Coen brothers just keep making poignant and hilarious movies every time out. Synopsis: A black comedy set in 1967 and centered on on Larry Gopnik, a Midwestern professor who watches his life unravel when his wife prepares to leave him because his inept brother won't move out of the house. 01. Where the Wild Things Are I already love this movie and I have not even seen it. Whether that is a good thing or a bad thing I don't care, I just know that come October 16th I will be watching the wild rumpus! "Where the Wild Things Are" clearly is a magnificent book that has stuck with many children over the years into the adulthood, we all cherish it. This film releasing is a triumph, because there were people who tried to stop it. They wanted to make it into a gimmick kids movie, but director Spike Jonze stuck to his guns and is releasing his "Where the Wild Things Are" a film that was described as at art house children's film! I have studied every frame of all the trailers released non-stop, I have cried watching the trailers and still get goose pimples just thinking about finally seeing my favorite childhood book on the big screen. There is a lot to be excited about in this film with the outstanding music from The Arcade Fire and original music by Karen O of the Yeah Yeah Yeahs. A wonderful group of actors who look to have brought a wonderful spin on Maurice Sendak's treasured tale. I don't think anyone who grew up with this book would dispute that "Where the Wild Things Are" is easily the Most Anticipated film of 2009. Cast: Max Records, Catherine Keener, Mark Ruffalo, Lauren Ambrose, James Gandolfini, Catherine O'Hara, Forest Whitaker, Paul Dano, Tom Noonan and Michael Berry Jr.
Synopsis: An adaptation of Maurice Sendak's classic children's story, where Max, a disobedient little boy sent to bed without his supper, creates his own world--a forest inhabited by ferocious wild creatures that crown Max as their ruler. Thanks for the solid list!